January 23, 2015 /Photography News/ Macro photography can be one of the more difficult photography forms. It requires a good grasp of focus and depth of field to make sure that all elements of the subject are properly in focus. Macro photography can be especially useful when photographing products, food, or wildlife. A well composed macro image can both show off a subject in the best light for sales purposes, but also wow the viewer. On the 5th of February, Photoion Photography school will be running a Macro Photography Course; allowing photographers of all skills to learn how to properly take macro photographs. Our macro photography workshop will help you to create clear, and sharp images, as well as giving you some wider skills you can apply to other photography. 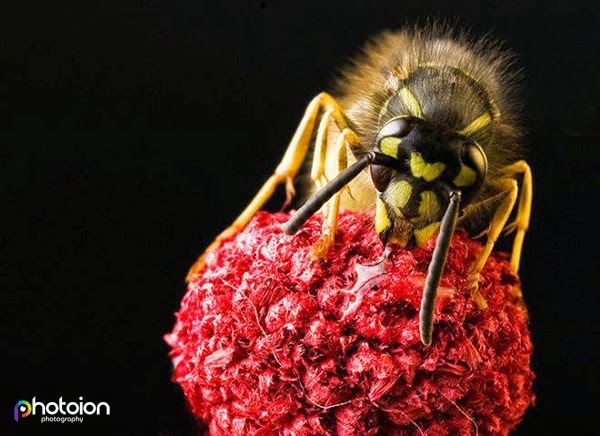 The course will begin with a short introduction to macro photography, as well as in depth descriptions of the tools and equipment you will be using to achieve stunning results. You’ll also learn about lighting, and what lighting set-ups work best for macro photography; as well as how to set up your lights to achieve the best results. All you need is a basic understanding of camera lenses and settings; such as shutter speed, ISO, and exposure. You’ll also need a digital DSLR, but don’t worry if you don’t have one; just let us know beforehand and you can use one of our semi-professional models. This course will give you lasting skills to take excellent macro photographs, as well as a host of other tips and tricks that will help to improve your photography in general. You will be tutored by a professional photographer, whose skills and experience will help you to improve your images. Photoion is a Photography school based in central London. Our location gives us access to some of the most interesting photography locations in the world, and allows us to draw upon the talents of the best people in the industry. Each one of our tutors is a professional photographer with years of experience, and they have all worked with hundreds of students, helping them learn and improve their photography skills. If you would like to learn macro photography, you can book a place on one of our photography courses, or if you’re interested in improving your skills in another area, or learning the basics of photography to help you take the beautiful images you’ve always dreamed of, you can visit our website: http://www.photoion.co.uk.